Millennials have gotten the unfortunate reputation of being difficult to acquire and engage. In reality, they aren’t quite the fundraising challenge people accuse them of being. Millennials are just like any other donors, some more generous than others, some more capable of giving than others, some more interested in your cause than others. 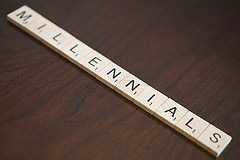 Aim to build lifetime relationships with the millennials that contribute to your cause. If you acquire and retain a donor young enough to be considered a millennial, that converts into years and years worth of support. The stigma surrounding the demographic has built up a wall between nonprofits and millennials that fundraisers are slowly chiseling down. 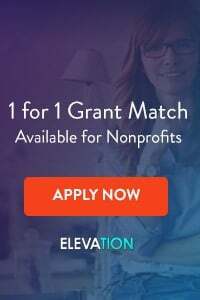 Just like with any special donor segment in your donor database, there should be some level of customization when outlining engagement strategies. But, there is no need to get crazy. On average, a younger donor is going to have a smaller disposable income. It makes sense. Younger people tend to have lower salaries and have had less time to save their money. Student loans weigh many millennials down financially and the job market is incredibly competitive. It is hard out there for a 20-35 year old. Extra funds are usually going to go towards paying off debt, or maybe even a meal besides ramen noodles. You may have a whole market of millennial supporters who want to help, but can’t contribute financially at the moment. Let them know about volunteering. Volunteering is a top alternative for those who are committed to your cause, but don’t have the fiscal capacity to donate. Once millennials develop a connection to your cause through volunteering, they should be hooked and ready to donate when they’re able to do so. A major component of fundraising is building donor relationships. Volunteering can be a great first step. A millennial volunteer could even work for a company that offers volunteer grants to organizations like yours. If you realize that, you’ll both be furthering that millennial’s dedication to your mission and bringing in bonus funds. While making money hasn’t gotten any easier in millennials’ lifetimes, many daily tasks have thanks to the internet. I can plan an entire vacation in one sitting with a wifi connection and a laptop. I can see what a high school classmate has been up to with two clicks on social media. I can deposit a check using my phone camera and bank app. That is insanity. And it is also the new normal. For millennials that isn’t even the new normal, it is just normal. Your organization should strive for that kind of online ease and accessibility. The Look and Function of Your Website: They say to not judge a book by its cover, but most people do anyway. For a millennial donor discovering your organization for the first time, your website is that book cover. It doesn’t have to be incredibly sophisticated, but it needs to be user-friendly and look current. A dated looking site will instantly make your nonprofit less appealing to a millennial. Your Social Media Accounts: Most millennials spend a large percentage of their days on social media. 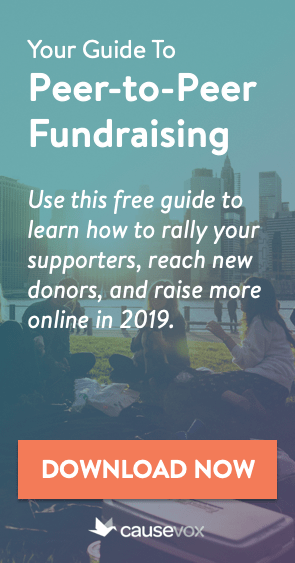 For nonprofits, it is the perfect place to provide updates about the goings on at your organization from campaigns to events to major milestones. Your Online Donation Process: Fundraising through online donations is still very young compared to other methods, but millennials are very young compared to other donors. The web is all about ease, make donating online easy and rake in those millennial donations. 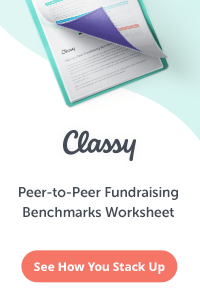 Reaching donors is all about being on their level and relating. Your online presence and its overall usability will be a major factor in how millennials relate to you. Simply because millennials, and really most of us, spend hours upon hours looking at screens each month, doesn’t mean millennial engagement should be solely focused on online acquisition. Although, as I discussed above, it will always be a top factor to consider. Hosting an event with a local college or university is an ideal way to expose younger millennials to your cause. There is no group of people more idealistic and hopeful than college students. They are educated about global issues, but are not yet world weary. They genuinely care about making a positive impact and want to do so. Tap into that by bringing your worthwhile cause to those students’ attentions through an event. Campus events both raise brand awareness of your organization and can be fundraisers that rake in a lot of money. Universities also typically have great locations to host things, from auditoriums for more formal events to athletic settings galore. Sponsor a 5k or a swimathon and reach the students on campus, the faculty, and members of the community. Start your donor relationships when the prospects are younger and you’ll be better able to ingratiate your organization into their lives. You’ll be building the foundation of a loyal donor pipeline. All three of these strategies are about connecting to millennials through increased accessibility. Nonprofits seeking millennial donors don’t need to rewrite the rulebook for donor acquisition, but they should be open to exploring the best avenues to reach millennials. Charitable giving rose by 7.1% from 2013-2014. With just the sheer population of millennials, it is a given that a portion of that increase was due to millennial contribution. It might take a few tweaks to your fundraising strategy to reel in those younger donors, but their generosity is there and waiting. Think through both what would interest a millennial about your cause and what would motivate one to donate, and get to asking. Gretchen Barry is the Director of Marketing for NonProfitEasy and has been a leader on corporate communications and marketing for 20+ years. Gretchen has donated her time to numerous causes including Relay for Life, Girls on the Run, Rebuilding Together, and just recently became involved with the local land trust. Gretchen graduated from the University of Nevada with a degree in English literature.